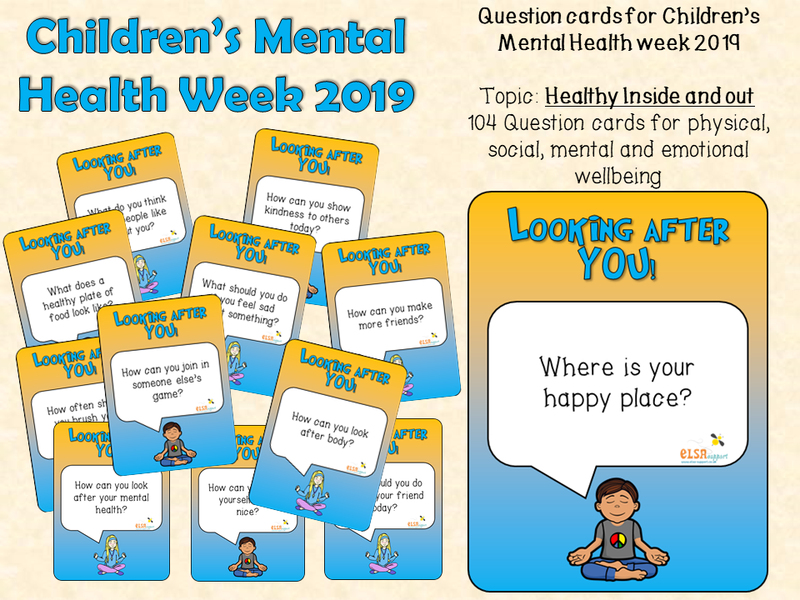 Children’s Mental Health Week is from 4th to the 10th February 2019 and the topic is Healthy: inside and out. There are 104 question cards entitled ‘Looking after YOU’ covering physical, social, mental and emotional wellbeing. These cards are brilliant for a warm up before starting your session or could be used as a teaching or discussion point. I will be working with 2 new children next week. One child had disclosed that he thinks about self harming and the other has a personal hygiene problem. These cards will be great for both children. Thank you for this great support as always. These were really useful as discussion points after NSPCC had been in to school to do an assembly and a workshop.